Two U.S. fighter jets intercepted four Russian warplanes off the West coast of Alaska Tuesday. It’s the second time this month that fighters have scrambled to intercept Russian aircraft that’s approached U.S. airspace around Alaska. 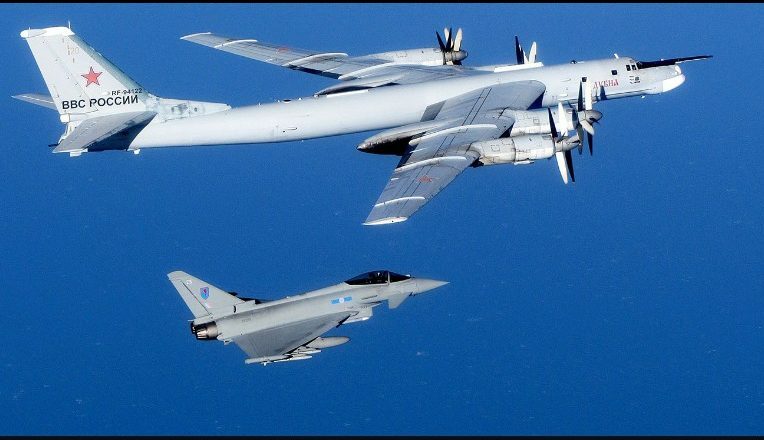 A news release issued Wednesday by the North American Aerospace Defense Command says the two F-22 Raptors intercepted two TU-95 Bear bombers two SU-35 Flanker fighter jets at around 6 p.m. on Tuesday. entered the Alaska Air Defense Identification Zone. Aircraft often enter the zone, because it’s international airspace. But warplanes are met and accompanied through the Alaska zone by fighters, usually based out of Joint Base Elmendorf Richardson. The JBER F-22s scrambled on September 1st to intercept two Russian Bear bombers.